Hotel-Online » News » Has Incredible India Lost Its Incredible Hotels? During the exclusive ‘owners-only’ meet at the recently concluded HICSA in Mumbai, there was an interesting discussion on the type of branded hotels entering the market today across positioning. Everyone agreed that too much of the same thing is being churned out and except for the logo and the hotel name, there is really very little of the ambience and décor that sets one mainstream brand’s property apart from the other – which begs the question, does standardization need to be so obvious? While I am not here to promote any brand, most owners in the room agreed that what the Andaz has done both in Delhi and Singapore with their public spaces, stands out from the pack – they are seamless, simplistic and have a distinct local influence; there is a story being told and the guest literally lives it during his/her stay. Am sure these two hotels have followed brand standards as well, but the adaptation has been subtle. The focus is clearly on creating a lasting impression on the customer, making him/her want to return to that experience. Brands like the Andaz understand that travelers today think and consume differently. They seek more choice, personalization, flexibility and above all a relaxing experience. While on the subject of standardization, another thought voiced by some owners was regarding hotel banqueting, and how unimaginative it has become. In fact, the notion that revenue has overtaken experience, cannot be more pronounced anywhere else in the hotel than the events space. Questions were raised if preset buffets still make sense when the current customer is becoming more health conscious and is perhaps seeking organic or healthier alternatives? Be it corporate or social, today’s guests want immersive and specialized experiences at their events, moving away from the cookie-cutter options being dished out to them. Another valid question raised by the owners was why the brands are not trying to get a larger share of the customer’s wallet? After all, customers will always be finite and once you have them through the door, should the hotels not be doing everything to get more from them? One of the biggest gripes that owners across the globe today have is the huge commissions that are being paid to the OTAs. In the last decade, the new age booking engines have been steadily eating into the hotel’s revenue pie. Even though it may be acceptable to have a customer book using an OTA the first time around, how can hotels allow the same customer to go back to the OTA to book in the future despite controlling most of the guest’s experience? The customer (or his/her secretary) spends only five minutes making the booking with an OTA, while the hotel has the guest for a few days! Despite that if the hotel is unable to convince him/her to book directly the next time, which is often the case, it points to a major issue that needs to be addressed. When it comes to design, yes technology is good and perhaps important; however, why are brands forgetting the basic fact that most of their customers want simplicity and don’t necessarily have a degree in technology, which seems necessary to operate the most elementary functions in the hotel room nowadays. Technology is supposed to aid the hotel in making a guest’s stay more comfortable, not stressful. I do not really need the gold-plated accessory in the toilet plumbing or a high-tech gadget for the water temperature control, but please do provide with me a shower that is simple to use, a TV remote (preferably just one) that is uncomplicated, high-speed Wi-Fi, and at least a master switch that can shut off all lights in the room but allows me to continue charging my phone and laptop as I sleep through the night. Brands don’t need to create smart or opulent rooms; instead, they need to get smarter by removing the unnecessary “flash-in-the pan” technological fads that only add to the owner’s capital investment, making their hotel development unviable. This is not brand standard, so please let’s not hide behind this now famous statement used so often by all brands. Also, think about your perception of luxury in a hotel, and what is being offered today. There is bound to be some disconnect, if not a huge one. The expansion drive has led to many hotel chains, domestic and international alike, to focus on size, volume and quantity; however, luxury is hardly that. Luxury is minimalism, class and exclusivity that makes the guest feel special. 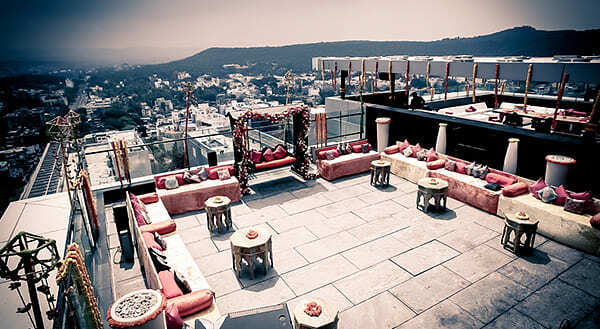 Standalone luxury chains like the Four Seasons and The Oberoi are the ones to emulate. Their commitment to excellence is enviable and apparent in all the hard and soft aspects of their hotels. They realize that luxury is all about offering value and leaving an imprint of the subtle flavory of the brand in the minds of the customer. It is not about pleasing guests but assessing and second-guessing their desires. It is not about lavish fixtures and big rooms but about a good night rest. Finally, it is not about having an intrusive 24/7 butler service but about sensitive and sincere hospitality, which bring us to the issue of lack of quality training that has singlehandedly created the worst bottleneck in the growth of this industry. Employees are the custodians of a brand and they need to be treated that way. Training is a critical aspect, and while the employee development initiatives of the brands cannot be discounted, we are still far from bridging the gap between what is desirable and what actually is. Moreover, the hotel industry continues to be among the lowest paying in the services sector, and it is therefore not surprising that the attrition levels are so high. In order to provide above par service, the level of investment made in the associates needs to be above par as well. Employees must feel that they are people of honor and distinctiveness. Finally, post the re-branding of our consulting company to Hotelivate, we have started using social media more actively, and I have grown to become a huge fan. I can confidently say that hotels are not even scratching the surface of this technology. Most successful free-standing restaurant owners will tell you that they depend heavily on social media as their lifeline. Maybe after reading this article, you may be tempted to ask your hotel operator as to when was the last time they used social media to sell a restaurant in your hotel. From geo-targeted posts, responding to online reviews and to creating awareness about your hotel, the possibilities are endless. In closing, I would simply state that let’s invest in what matters and dare to think out of the box. Let us understand consumerism better and align ourselves to serving the ‘real’ needs of our customers. Brand standards are not etched in stone; they must evolve with changing times and consumer preferences to stay relevant. A greater focus on creating distinctive hotel products, offering remarkable service, tapping new segments and enhancing the overall guest experience is called for to bring back the incredibleness of our hotels that seems to have been lost somewhere. Hotelivate offers wide solutions in hospitality consulting business and one of the best consultants for hotel industry that delivers innovative solutions to all hospitality projects.